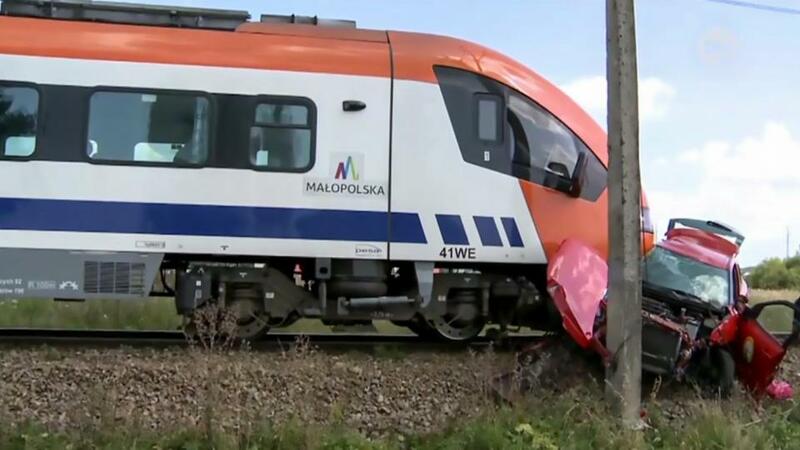 Video: Polish teen girl dies during driving test after car stalls on train tracks. Polish teen girl dies during driving test. Images via Facebook. Video captures the moment a Polish teen girl dies during driving test after car stalls on train tracks. Driving instructor saves own life- comes under heavy criticism. Polish authorities have told of an 18 year old teenage girl dying after her car stalled while driving over a level crossing during a driving test only to be struck by a train after her instructor abandoned her. The teen, identified as Angelika, died in hospital as her examiner escaped unhurt and allegedly did nothing to help the girl as she lay in the wreckage in Zaskala, southern Poland. Local media reported the crash, which happened Thursday morning, being captured on CCTV footage of a workplace close to the rail lines. 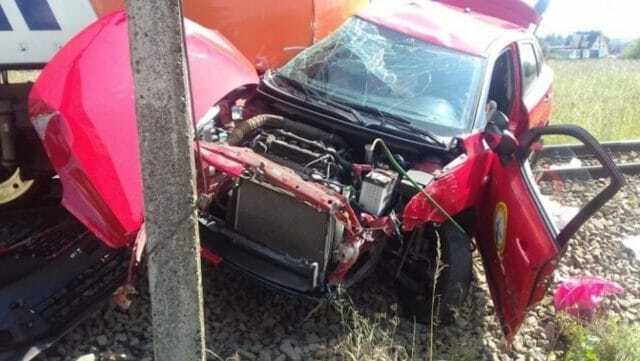 Video showed the red Suzuki Baleno, which was being used for a driving test, coming to a halt at the level crossing, before the examiner jumps out and a train slams into the vehicle. The 62-year-old man, whose name has not been released, leaped out of the car when Angelika stalled in the middle of the tracks and wasn’t able to move the car. Polish teen girl dies during driving test after car stalls on train tracks: Did driving instructor do enough? 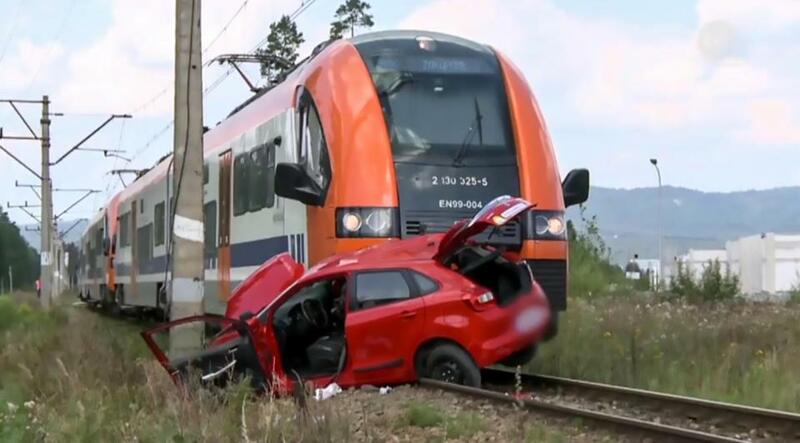 The UK’s Sun reported witnesses saying seeing the driving instructor walking away from the car when the oncoming train smashed into it in between the towns of Nowy Targ and Zakopane. Eyewitness Rafal Kwak, 40, accused the instructor of standing by and doing nothing while Angelika lay in the wreckage. He said: ‘I wanted him to give me a first aid kit but he couldn’t find it. However despite the train driver sounding his horn for several seconds, the teen was unable to get away in time –despite the examiner managing to escape unhurt. Angelika suffered multiple injuries and was rushed by ambulance hospital to in Nowy Targ where she later died later that day. The train driver and passengers were not injured in the disaster. 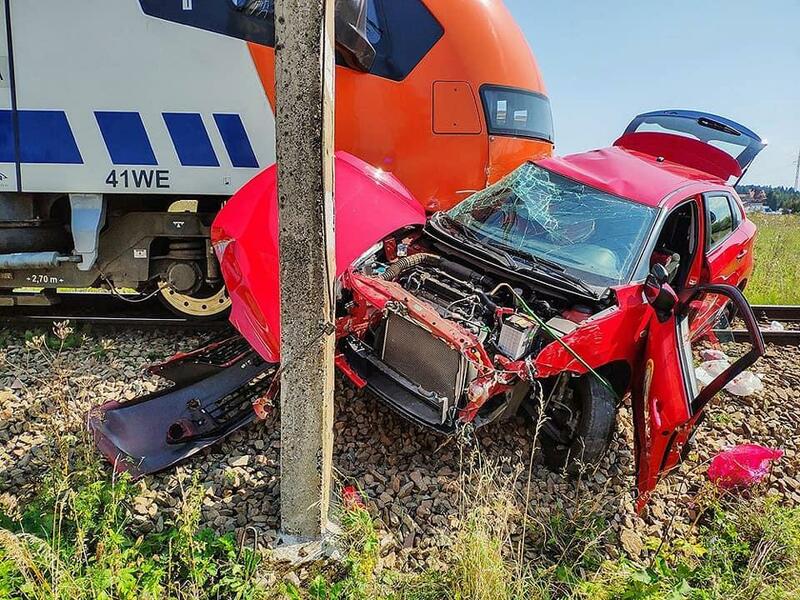 An investigation into the crash has been launched by the Nowy Targ’s District Prosecutor’s Office as commentators debated whether the car instructor did enough to save the life of the teen girl- and what they would have done in his place as the train rapidly approached. Polish teen girl dies during driving test.